Two transgender friends reveal their new identities to their families in Jamaica. Steffan and Romario are determined to be open about who they are, despite the risks. 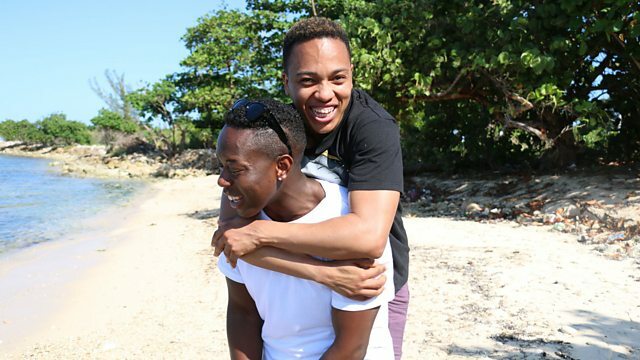 Follow two transgender friends on a life-changing journey to reveal their new identities to their families in Jamaica. Steffan and Romario return to the country where they grew up - one of the most transphobic places in the world. Despite the potential risks to their safety and not knowing how their relatives will react, the friends are determined to be open about who they are. Their story highlights the challenges and struggle for acceptance faced by many transgender people from ethnic minorities in the UK. Film, gaming, lifestyle and in-depth Newsbeat documentaries.